There are Millions of smartphones, WAP, Featured mobile phones in the world. IMEI number is what makes these phones unique from each other. Today we will know, “how to check or find IMEI number in mobile phone and tablets normally or for lost / stolen phone”. IMEI number means International Mobile Equipment Identity. There could be different reasons for which you should know or check you IMEI no. If you lost you Android, Windows Phone, Apple iPhone, Blackberry, Tizen, Nokia Symbian or any mobile phone. You can track your phone using IMEI number or can register FIR to block your phone from using via IMEI number. So, the 15 or 17 digit IMEI can enable a GSM network provider to prevent misplace or stolen phone from making calls. If your phone is stolen, but you have the box pack you can easily find IMEI number on the phones’ retail box pack. Another way to find IMEI number is remove the battery of your phone and see if there is IMEI Label. To know IMEI via USSD code simply dial *#06# from your phone. This method will work on all GSM mobile phones. 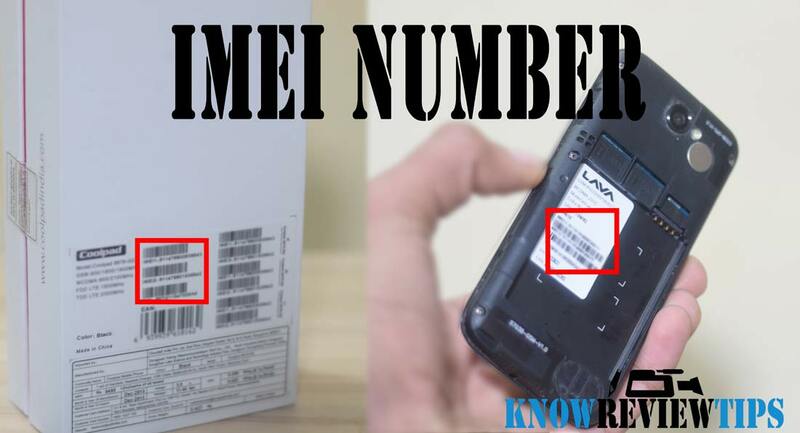 The above solutions of find IMEI number should work on Amoi, Archos, AT&T, BenQ, Bird, BLU, Casio, Celkon, Dell, Ericsson, Fujitsu, Samsung, Sewon, Spice, Tel.Me., Thuraya, Unnecto, verykool, VK, Mobile, Wiko, XCute, XOLO, ZTE, Alcatel , Asus, Benefon, BenQ-Siemens, BlackBerry, Bosch, Siemens, Gigabyte, Haier, HTC, i-mate, Icemobile, iNQ, Karbonn, Lava, LG, Maxwest, Micromax, Mitac, Modu, MWg, Neonode, Nokia, O2, Oppo, Palm, Pantech, Philips, Posh, Qtek, Cat, Chea, Emporia, Eten, Garmin-Asus, Gionee, HP, Huawei, i-mobile, Innostream, Jolla, Kyocera, Lenovo, Maxon, Meizu, Microsoft, Mitsubishi, Motorola, NEC, NIU, Nvidia, OnePlus, Orange, Panasonic, Parla, Plum, Prestigio, Sagem, Sendo, Sharp, Sonim, T-Mobile, Telit, Toshiba, Vertu, vivo, Vodafone, WND, Xiaomi MI, Yezz, YU, Myphone, Infocus , Cherry Mobile, Generic, iBall, THL, Starmobile , Cloudone, RCA, 5ive, Galaxy, inDigi, K-touch, Cheers, Datawind, Digimac, DiYi, Forme, GFive, Hitech, HPL, i-smart, Jivi, Lemon, Kenxinda, M-Tech, Lima, Maxx, Onida, Sansui , Colors, Salora, Simmtronics, Swingtel, Videocon, VOX, Wynncom, Zync, Phicomm, PiPO, Polaroid, Q-Mobile, QMobile, Qumo, Ramos, Revo, Runbo, Saygus, Senseit, Siswoo, SK-Phone, Smartisan, Sony Ericsson, Subor, TCL, Teclast, Tengda, BSNL, BQ, Adcom, A & K, cloudfone, Torque, 100+, 3Q, 78point, Acer, Allview, Amazon, Apple iPhone , iPad, Bartec Pixavi, Blackview, Bluboo, BungBungame, Caterpillar, Chuwi, Colorfly, Conquest, Coolpad, Cube, Cubot, Dakele, Daway, DEXP, Digoor, Doogee, Doov, Ecoo, Effire, Elephone, Energy Sistem, Eton, Explay, Faea, Fly, General Mobile, Goclever, Goophone, Haipai, Hasee, Highscreen, HiSense, iBerry, iMan, iNew, Innos, iNo Mobile, Intex, iOcean, IUNI, Jiake, JiaYu, Kazam, KingSing, KingZone, Kodak, Kogan, Kolina, Landvo, Laude, Leagoo, Leotec, LeTV, Lumigon, Mann, Manta, Mediacom, Mijue, Mlais, Mogu, MPIE, Mstar, Neken, Neo, Newman, Nibiru, No.1, O+, Obi, Onda, Orgtec, Orientphone, Otium, Oukitel, Texet, Tianhe, Turbo, Ulefone, UMi, Uniscope, Unistar, Vaio, ViewSonic, Vifocal, VKworld, Voto, Voyo, Vtel, Walton, Wexler, Wickedleak, Wico, Yota Devices, Zeaplu and Zopo.